With transportation costs up, one of the oldest icons of the Industrial Age is once again coming to prominence. Trains are the object of interest in the United States at levels not seen for decades, with some of the most foresightful investors around — including the world’s richest man, Warren Buffet — placing billions of dollars on old-line companies like Union Pacific and Norfolk Southern. The reason behind the trend is fairly obvious. Most investors have begun to believe that today’s high fuel prices are permanent (see the interview with Chris Nelder, below, for more). In addition, trains are seen as a good way to reduce greenhouse gas emissions, as one train can tote as much freight as hundreds of trucks, or as many people as thousands of cars. 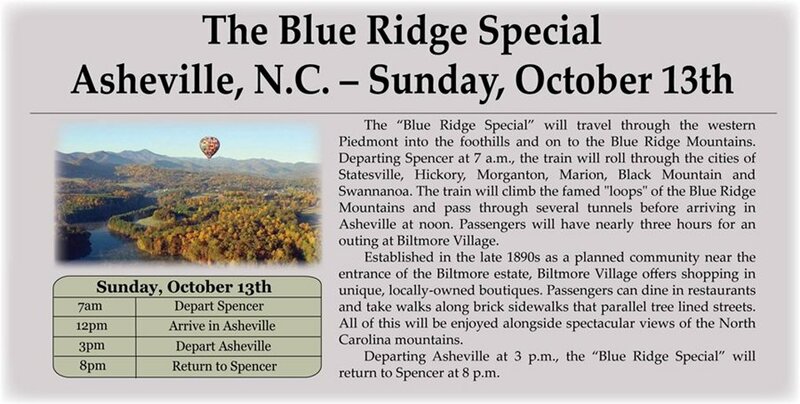 ASHEVILLE, N.C. — Several years ago, cities and towns in the foothills and mountains of western North Carolina were anxiously awaiting the return of passenger rail service. 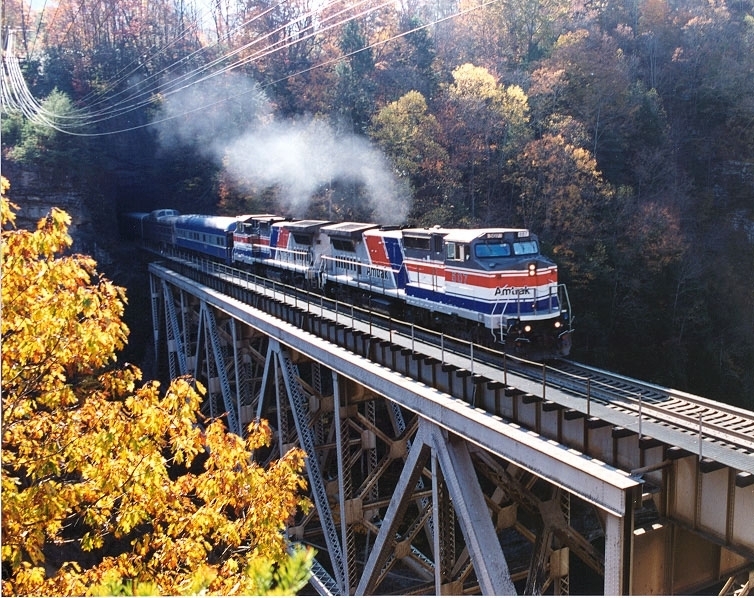 In March 2001, the N.C. Department of Transportation adopted a phased plan to extend passenger rail service to Asheville and western North Carolina. Travelers have often listed Asheville as the No. 1 most requested destination in the United States that does not have Amtrak service. The plan called for passenger trains to run between Salisbury and Asheville with stops in Statesville, Hickory, Valdese, Morganton, Marion, Old Fort and Black Mountain. The plan also included the renovating or building of train stations that would also have other community uses. Both Marion and Old Fort had their depots extensively renovated and these buildings have since become community centers for special events. However, state budget constraints prompted the state DOT to delay the return of passenger rail service to the mountains. In the meantime, the department will continue to work with communities on stations and rail safety improvements, according to the N.C. Rail Division’s Web site. Are you riding the rails? As gas slowly creeps back up to $4.00 per gallon (I read recently where we could hit that number by August), many folks are turning to Amtrak and light rail as an alternative. Could this completely revive the railroad industry? Any motorist can tell you: the state’s streets and highways have become more congested over the past decade. With congestion brings increased emissions. To help address those congestion and emission concerns, the North Carolina Department of Transportation (NCDOT) Rail Division is improving passenger rail service by improving railroad infrastructure. The NCDOT is investing state, federal and surface transportation funds throughout the state to improve existing tracks, install new signals and build stretches of new track to improve the state’s rail system. These projects range in scope from critical freight access to statewide development of the Southeast High Speed Rail corridor.